Whether you're a complete beginner or have already attempted to learn the art of Celtic knotwork, this is the book for you! Artists at all levels will treasure this guide, which not only demonstrates how to duplicate patterns from a rich and varied gallery of examples but also how to take the next step to creating your own unique designs. 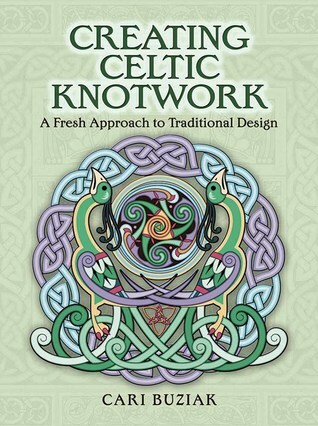 Creating Celtic Knotwork is the perfect book for anyone wishing to dabble in Celtic design. It provides step-by-step instructions on how to form many traditional patterns, including animals and figures, and each step is accompanied by a clear illustration; there are even a couple of templates at the back. All in all, this is an excellent resource for designers and artists looking to incorporate a Celtic look into their work, or even just someone with academic interest, who wonders how the designs are created.